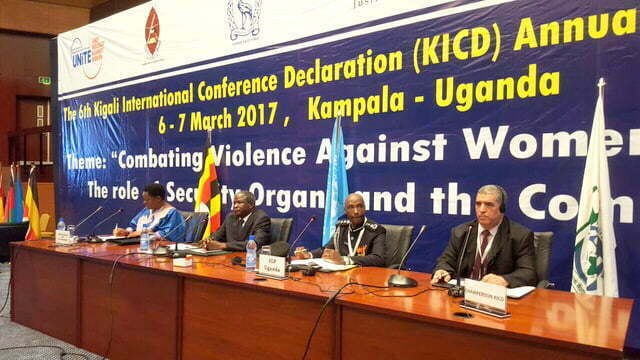 The Inspector of Police General Kale Kayihura at the Kigali International Conference Declaration General Assembly held in Serena hotel in Kampala. The Inspector of Police General Kale Kayihura has pledged to increase the number of women in the police force. 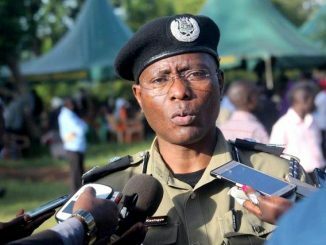 According to Kayihura, currently women comprise 20 percent of the total police population in the country although the law provides for 30 percent. He argues that women are more of problem solvers than criminals based on the current crime statistics. Kayihura wants different sectors and organisations to employ more women to harness their potential. He noted that women the majority and are also the most positive members of society, which makes them national assets. Kayihura decried the high number of defilement cases, which he said remains a challenge in the country. 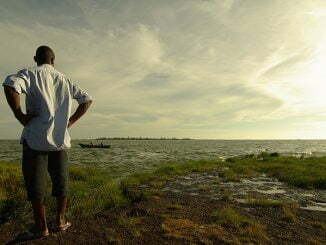 He called for a joint effort to curb the vice and asked government not to abandon it for Non-Governmental Organisations. Kayiruha disclosed that Police is working on elevating the family and child protection unit, so that victims of the gender based violence can be protected. He says the department still faces a lot of challenges like funding for medical checkups in cases of gender based violence. He also called for the establishment of an African criminal data center that will curb modern slavery of girls. He states that as it stands, criminals who commit crime in their countries run away and end up committing similar crimes abroad, stating that a data center on criminals will help.